A window memorial at the Lowell Milken Center. The Center works with teachers and students around the world in creating projects of unsung heroes. Photo by Kenny Felt, husband of Life in a Jar founder Megan Felt. 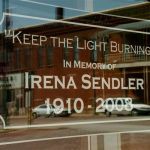 5.12.08 – Fort Scott, Kan. – A photo of the late Irena Sendler is lit by candlelight in the window of the Lowell Milken Center Monday night in Fort Scott. 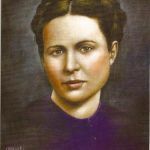 Sendler, a Polish woman who rescued more than 2,500 Jews from the Warsaw, Poland ghetto during the Holocaust, died May 12 in Poland. She had suffered from a long bout of pneumonia. 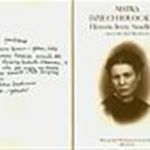 The Lowell Milken Center in Fort Scott is home to the Life in a Jar project, which features the heroics and life of Sendler. The photograph of Sendler was taken the beginning of May. 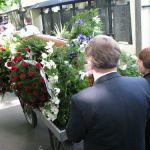 Irena Sendler is laid to rest on May 15, 2008, in Warsaw, Poland. This photo is of Irena’s daughter, granddaughter, and friends. 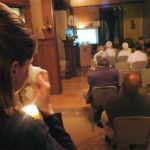 Those in attendance view a tribute film created by the students. 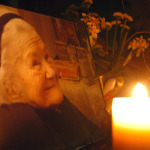 Irena Sendler’s funeral is over in Warsaw, on May 15, 2008. She passed away on May 12, 2008. 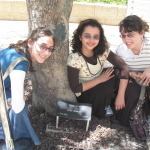 The three Lillenthal girls sitting under Irena’s tree in Israel. 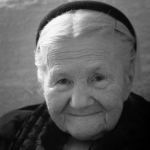 A photo of Irena Sendler. This photo was taken in 2007. 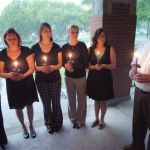 Members of ‘Life in a Jar’ honor Irena with a candle light ceremony. 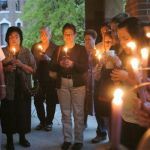 Members of the Bourbon county community gather to honor Irena Sendler. Community members were also able to share their feelings about Irena’s passing. Irena’s funeral was at St. Boremeusza on Stare Powazki Cemetery. 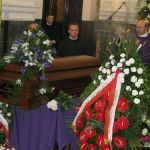 Irena’s funeral was at St. Boremeusza on Stare Powazki Cemetery. 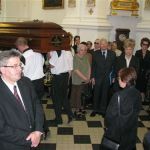 Elzbieta Ficowska and the former first lady of Poland watch the casket leave the church. 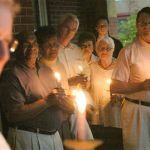 Members of the Bourbon County community have a candlelight service for Irena, this is the county where ‘Life in a Jar’ started. 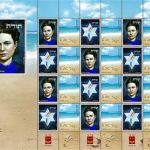 A new Irena Sendler stamp will be issued in Israel. The Polish Consulate has designed this stamp to honor Irena. A photograph of Irena from World War II was used on the cover of the program at Irena’s funeral. 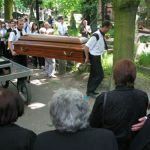 Irena was buried in a public funeral. Many child survivors were present. 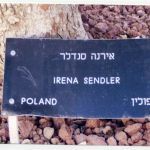 Irena Sendler was recognized by Yad Vashem for her work in rescue during the Holocaust. Here is her tree at the entrance of Yad Vashem.